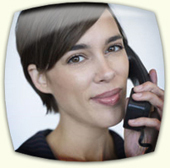 By calling me, I can get rates from multiple insurance companies at the same time. This will save you a lot of time because you would have to visit each website below to get quotes from them. It's best to speak with me via phone or live chat because there are many unique factors to consider. I helped a young lady who was purchasing an insurance plan that included maternity benefits. I helped her realize she could choose an insurance plan with a much lower premium than she was going to purchase initially. I showed her how, if she does become pregnant, this lower premium plan will pay the exact same amount of total maternity claims as the higher premium plan she chose first. schedule a NO PRESSURE call back. ©2009 Brusso Insurance. All rights reserved.